I love the new twist on chambray’s this season. 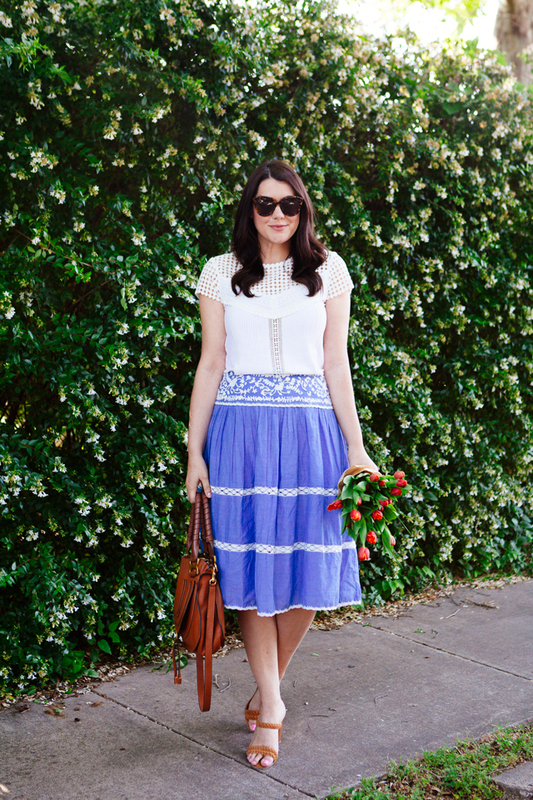 In dresses, skirts and anything but tops. I have a few chambray tops myself, which I’ll never abandon as long as there are Saturdays but I love introducing the fabric into other pieces. 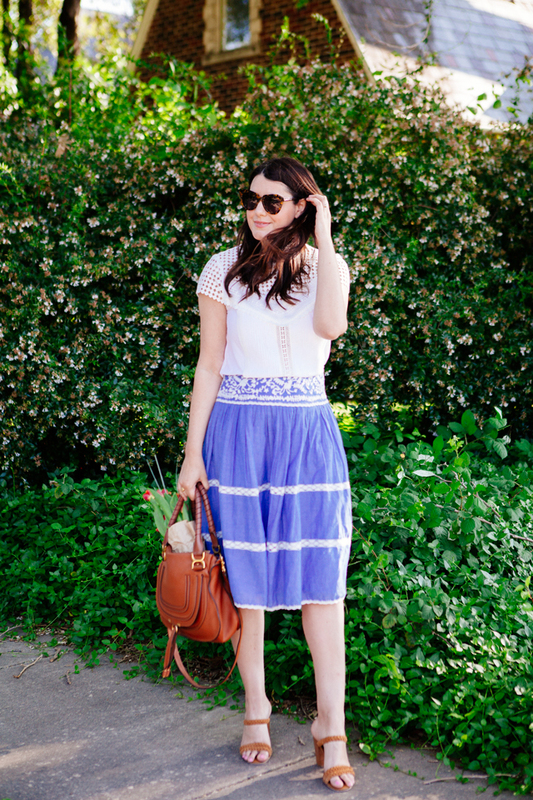 Especially in skirt form, like this embroidered one. 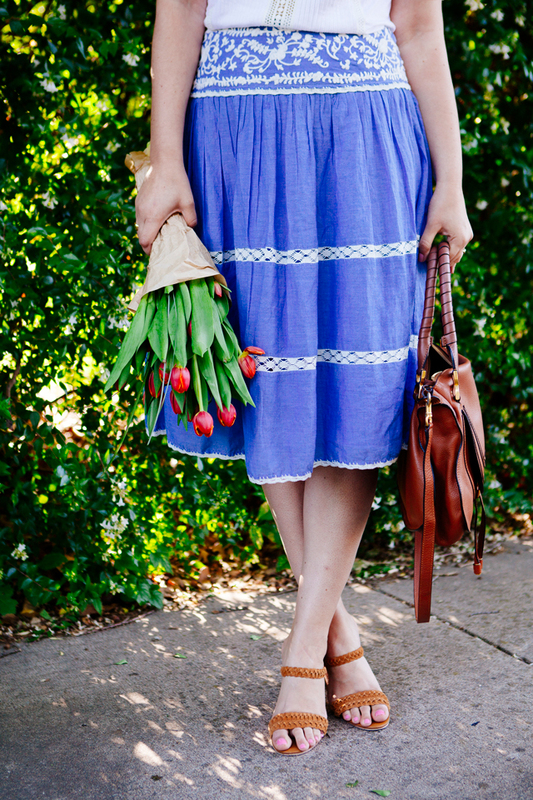 Chambray skirts, who knew? I go through phases were I love skirts and phases where I love jeans. For some reason it’s either or. Probably because I’ve only been blessed with two legs instead of four, but for whatever reason I am currently in the skirt phase of 2016. And maybe style is in the skirt phase right now too because everywhere I turn there is a new pretty skirt. I picked up this skirt for an upcoming trip to Mexico this June, but couldn’t rightfully let it sit in my closet for much longer than 48 hours. 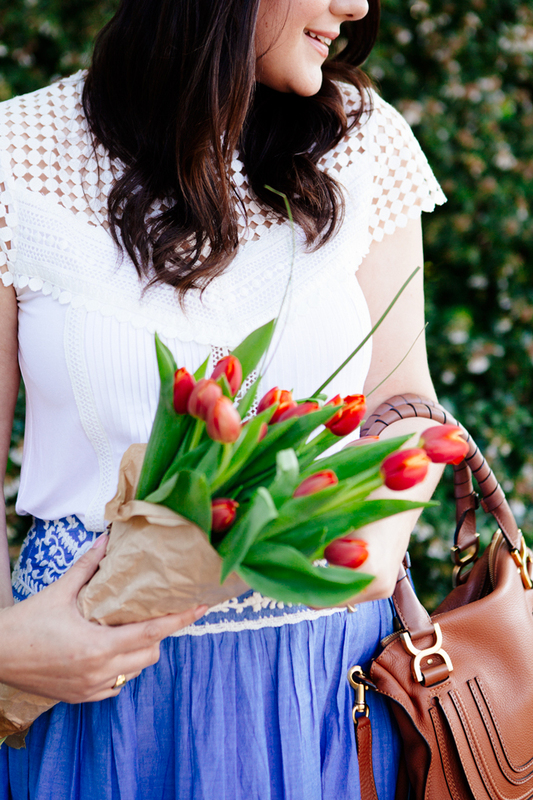 It’s much too pretty and so easy to wear and pair for the weekend. 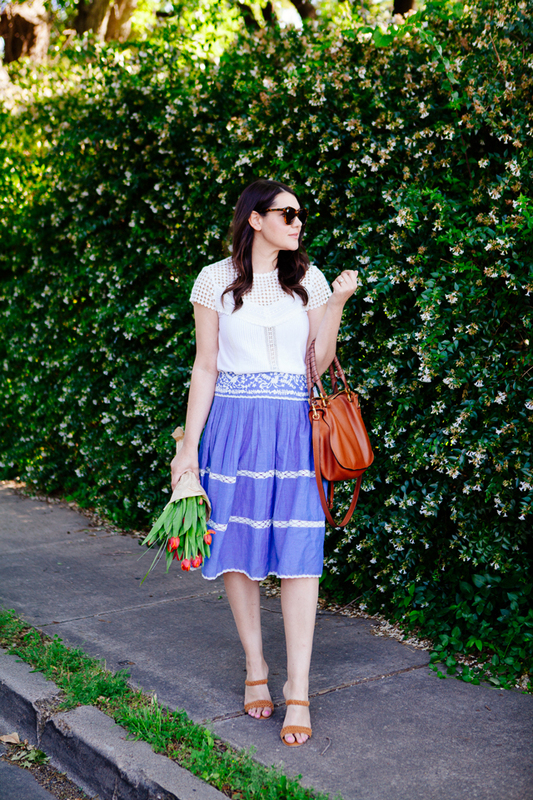 This skirt is a Sunday brunch date waiting to happen. This is adorable! Perfect for spring/summer! 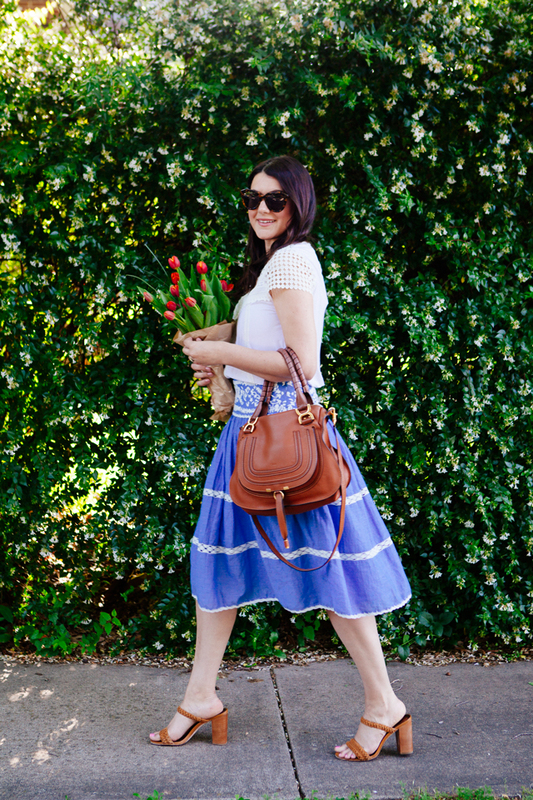 Such a sweet, romantic and countryside gal chic outfit! I’m loving your skirt! I LOVE this skirt. So beautiful! that is such a cute skirt! so feminine! I’ve always loved chambray, and really love this variation on the theme! Beautiful! That skirt is so adorable! 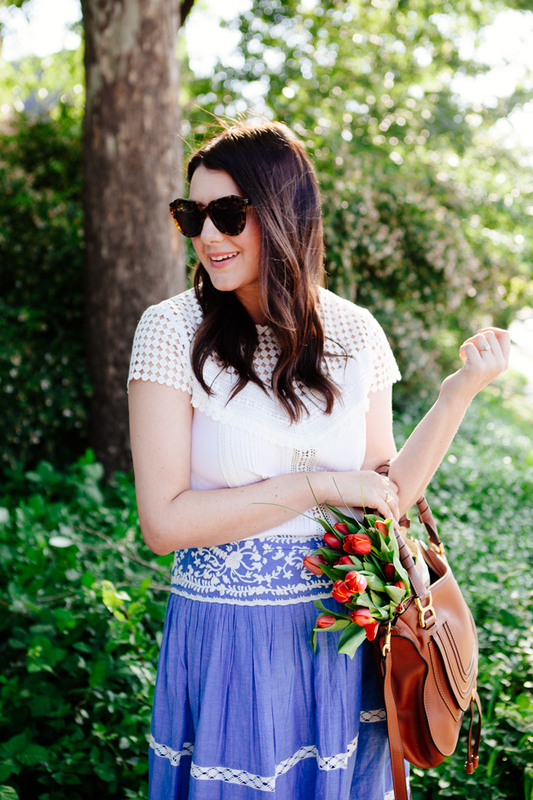 I just picked up an embroidered chambray blouse that I’m super excited to wear – loving this trend. Love the skirt! 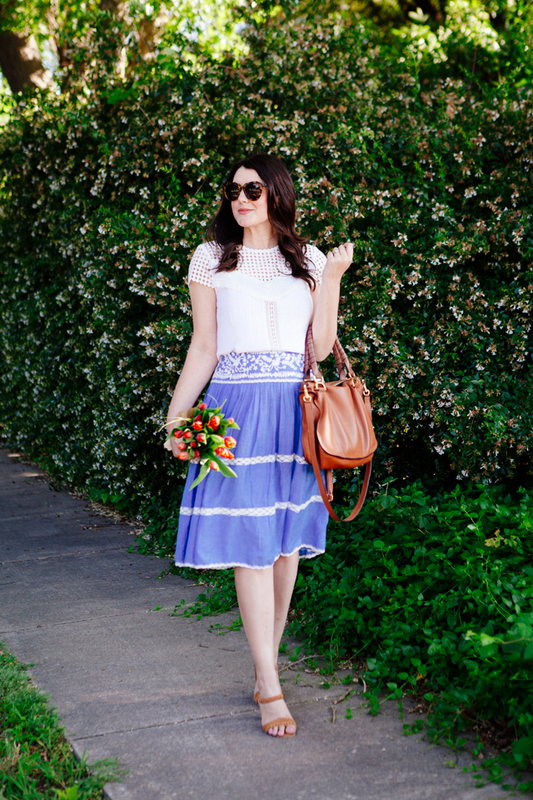 It is so summery and perfect for any occasion! I am so in love with this look! I can’t quite put my finger on what it is that I am drawn to. I just love it. It’s so fresh and makes me want to go frolic in a field…that seems weird. But it’s true. Fabulous look! Both the top and the skirt are adorable! Love the embroidered details! I have these phases too. Right now I am in a jean phase. I love reading your posts… you have such a witty way of describing things! 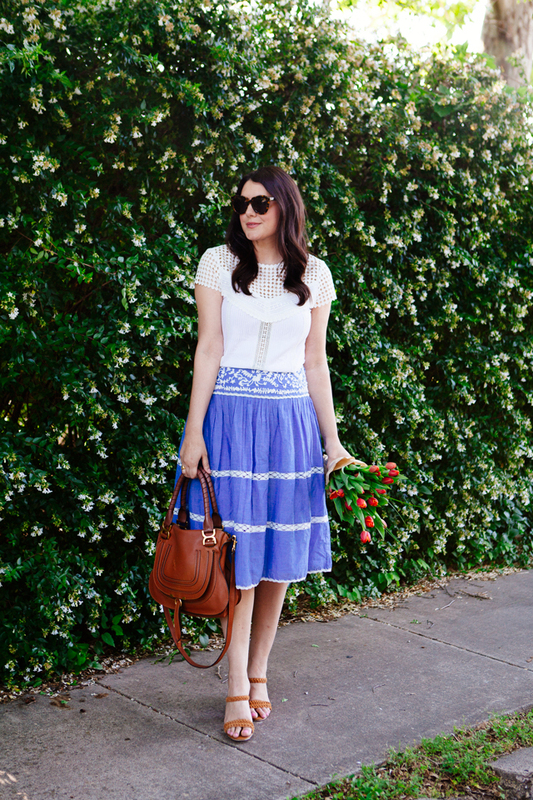 Love this chambray skirt! 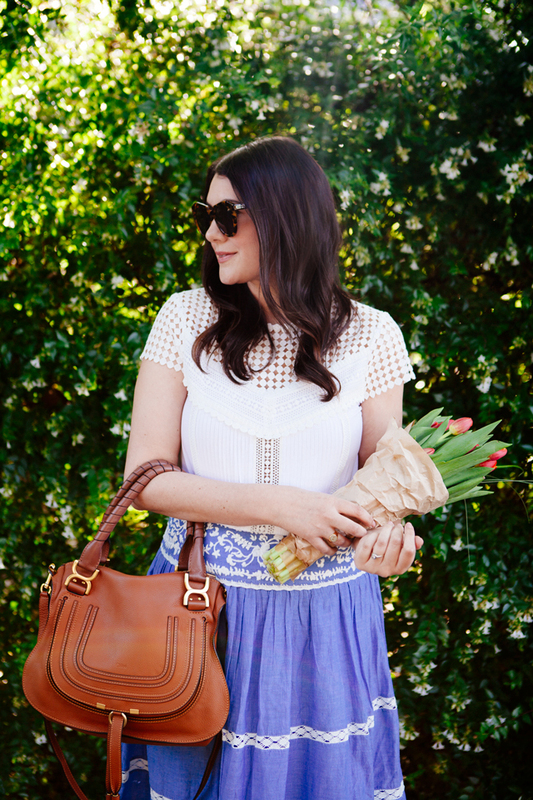 Your outfits always look so effortless! I love the shade of blue this is! It’s perfect for your Mexico trip too, can’t wait to see it there! I know what you mean, I go through phases too but mine are more with colors than with types of items. I typically wear lots of color or lots of grey. it just dpeends on the season and my mood, I guess! 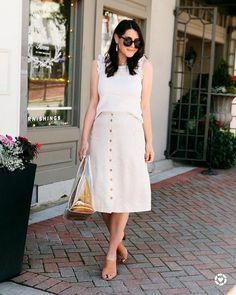 This is a perfect summer outfit! I don’t normally like white tops, but this one is beautiful!